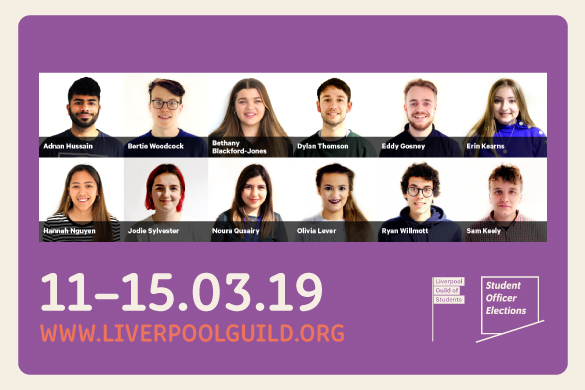 Last week, you braved the bad weather and voted in your thousands for your new Student Officer team. A total of 5,773 votes were received. That’s a turnout of 20%. Studying: History. 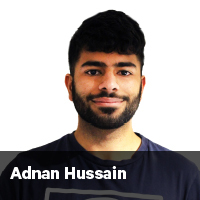 Adnan is in his third year. 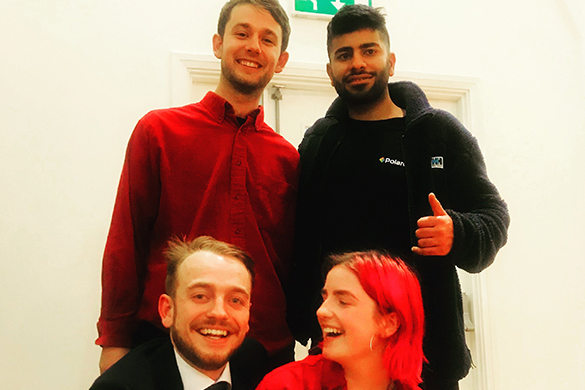 Some of Adnan’s aims: As your President, Adnan wants to build a closer connection between students and the Guild, create more wellbeing weeks and include more vegetarian, vegan and halal options at the Guild. 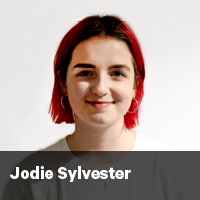 Some of Jodie’s aims: As your Student Officer, Jodie will work to extend Call it Out into the city, offer staff disclosure training and campaign for enhanced financial support. 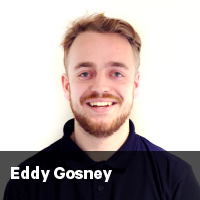 Some of Eddy’s aims: When he takes on the role of Student Officer, Eddy wants to introduce a Safe Taxi Scheme, change the way rooms can be booked at the Guild and introduce a weekly Guild President’s Questions session. 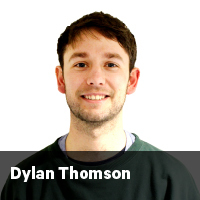 Some of Dylan’s aims: As Student Officer, Dylan wants to create an alternative Careers Fair that focuses on businesses, charities and the arts, work on the Guild’s Cut the Rent campaign and enhance the bursary package for asylum seekers.